The Little Green Girl is no ordinary topiary. She dreams of visiting far off places and exploring the world beyond her garden's walls. But for her gardener, Mr. Aster, the prospect of deviating from his daily routine--let alone leaving his beloved home--is unimaginable. Try as she might, the Little Green Girl can't uproot herself and set off on her own. To realize her dream, she'll have to find a way to show Mr. Aster that it's possible to carry a bit of home with you wherever you go. 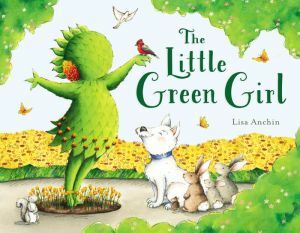 Lushly illustrated and brimming with charm, The Little Green Girl is an ode to broadening your horizons and the unexpected rewards of experiencing the unknown.